I was serving a small congregation outside Savannah, GA when my Vicar introduced me to a parishioner who bravely expressed his long term devotion to Dungeons & Dragons. Would I be willing to start a game? We chatted, grabbed a couple other geeky guys, one presbyterian geeky gal, a couple of kids, and collectively drank the juice. I spent a weekend reading rule books, until I felt ready for the big day, nerd flag proudly flying and a bag of dice in hand. We had 6 people come to that first session. We made a grand display of the heathens at church playing Dragons & Dragons with candles, music, and snacks. Within six months, I was running games for 25 kids and adults. Our average Sunday attendance was 75 at the time. I was creating space for people to work through old hurts safely. I allowed them to practice their responses to real world problems within a game. I set a code for my players to follow, I made them sign a covenant of behavior, and we grew and grew. I realized I was using a game that allows you to be evil to encourage my players to do amazing good. Angry kids learned to express themselves in more healthy ways. Hurt kids found peace. Lonely kids found a community. The adults who played were just as excited about it, especially the ones who came to play with their children! God will work through anyone. God will work wonders through anything. If I can use a game as loaded & maligned as Dungeons & Dragons to show kids how to live like Jesus, then this truly can be an age of miracles & heroes. One of my current groups, four high school ladies, call our sessions “church” (and not because we meet in my office at church). Another group I run in a local game shop has a dad and son who have healed their broken relationship through supporting each other’s characters in the game. Read the rules to whatever system you are using. Or better yet, get a 12 year old to read the rules. They are amazing at remembering this stuff. Buy only enough accessories to meet the bare minimum needs. I have way too many dice and minis and whatnot. Choose wisely. 2-4 students are all you need to get started. But this first group has to be honestly invested in committing to the game and each other. You’ll need a core group to help you set the standards for new players down the road. Define some boundaries. Download my Gamer’s Covenant and follow it. This is a modified re-presentation of the Baptismal Covenant, and sets a baseline for our community and behavior. Make room. Be prepared for your kids to bring friends. Be prepared for kids to be inconsistent with attendance. Be prepared to make stuff up as you go. Live heroically. The heart of Role Playing Games is about storytelling. You work with your students to craft a story that draws you all into the best versions of yourselves. Students begin to understand that defeating the band of Orcs will show them how to stand before a bully. Watch the boys demand that princesses are not objects to be rescued, but role models and fellow servants. Watch the girls play warrior queens whose ferocity is matched only by their honor. In my next post, I’ll tell you how we used the Gospel to develop a code that my gamers live by, and how to fuse formation with imagination to give kids hope and watch them become disciples with +1 Swords of the Spirit on their hips. 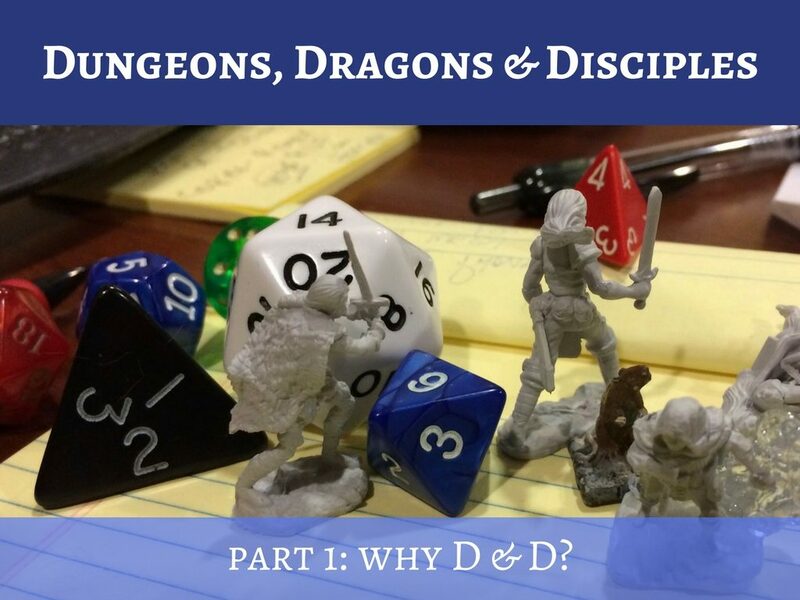 Have you ever played D&D in the context of Christian discipleship? I definitely grew up in circles that preached the evils of D&D. About a year ago my fifteen year old son was invited to join a game. He had been going through a rough patch and I was so happy to have him socializing at all, that I put aside my misgivings and allowed him to go with a firm warning not to sell his soul to the devil (mostly that was a joke). Now I am convinced that D&D saved his life. One of these days we might even get to a place where we don’t feel obliged to hide his game play from his grandparents. 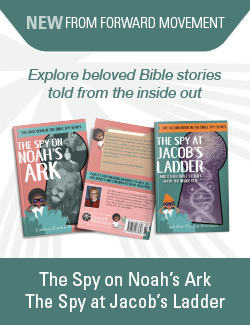 Feel free to use the Code and Covenant to help them see the lessons within the storytelling. You’ll have plenty of material by the end of the series!